Your Magic Chef Oven Thermostat controls the temperature of your oven. When you set the knob on your oven for let’s say 350 degrees, the thermostat is the component that’s responsible for raising the temperature in your oven to the temperature you select. A Magic Chef Oven Thermostat is similar to other oven thermostats in that they regulate the desired oven temperature. Sometimes buying a new microwave is not always the most inexpensive option. 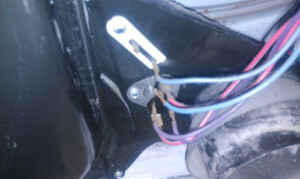 This above-range microwave needed a new thermostat fuse. 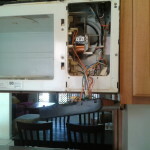 It’s a inexpensive part so it’s was a better option to repair this microwave than it was to buy a new one. 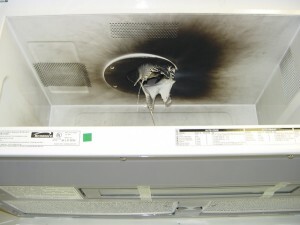 A thermal fuse can trip when the microwave overheats. This can happen from cooking food for an extended period of time.